Investment summit: What was behind the showbiz style? To some observers the Presidential investment summit last Friday seemed like much ado about nothing. Several of the projects announced had been incorporated into their companies’ plans for some time. The regular upgrading of plant that goes with every introduction of new models in the automobile industry was presented as new foreign investment. For this reason, and because of the showbiz style, it is tempting to see the event as little more than smoke and mirrors. But the summit could be more than the sum of its parts — it could be an important step forward to reviving economic growth in South Africa. What actually happened at the event? Amid fanfare, an audience of 1 300 business and government leaders, a glamorous mistress of ceremonies and one of the globe's most successful entrepreneurs, Chinese internet commerce magnate Jack Ma, President Cyril Ramaphosa announced R209bn worth of investment. The investment ranges across a wide range of sectors, including mining, energy, infrastructure and manufacturing. All this investment is expected to occur over various timescales in the near future. Ramaphosa used the opportunity of the investment "summit" to send out several signals. To please his own constituencies in the ANC and the unions, he referred to the end of the "investment strike"; some critics of business had said they were holding back their investments as a deliberate policy. But most of his messaging was aimed at the business community. He talked about how their investments and property were safe, their factories were protected from expropriation by the independent judiciary and the rule of law. While land reform would continue, it would be "fair and equitable". Transformation would continue, "while providing certainty to those who own land, those who need land, and to those who are considering investing in the economy". Perhaps the most telling signal was the apparently off-the-cuff remark he made dismissing the concept of "white monopoly capital". At the dinner which followed the conference he said: "We have become accustomed to…treating our entrepreneurs and business-people [badly] and called them all sorts of names. We’ve treated them like enemies and… [called them] white monopoly capital – that must end today." Jack Ma looked on approvingly. Ramaphosa has nailed his colours firmly to the mast. 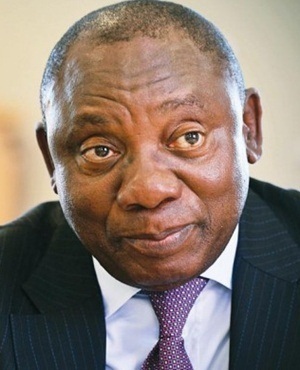 After the confused and confusing sophistry of the Zuma era, Ramaphosa has committed his government to a market economy, where obstacles to private investment would be removed, where possible. This moment is reminiscent of 1980 in India. In that year, Indira Gandhi committed the Indian Congress Party to business-friendly policies. Reforms were slow, picking up a little under Rajiv Gandhi a few years later, and the major structural economic reforms only took place in 1991 under India’s new Prime Minister Rao and the new Finance Minister Singh. This is consistent with contemporary empirical analysis of economic growth. Hausmann and his colleagues found that major structural reforms seldom preceded significant growth accelerations. As Dani Rodrik put it recently, "in economies that suffer from multiple distortions small changes can make big differences".3 The small change made in India was a clear shift by the dominant political party towards business-friendly policies. Could the same be true for South Africa? South Africa has a disadvantage in that our credibility has been damaged. After the first 15 years of transparent social democratic policies, South Africa under Zuma from 2009 lurched into confusion. The details are irrelevant; one of the most valuable things that the South African government and the ANC lost in the Zuma era was credibility. So Ramaphosa’s biggest challenge is to recover credibility. The implicit question that investment decision-makers will be asking is this: is President Ramaphosa’s sway over government as strong as that of Indira Gandhi’s in India in 1980? Ramaphosa and his advisors will be asking: what can we do to rebuild credibility fast? The answer to this question seems simple —state capturers must go, looters must be punished, and constructive policies must be carefully prepared in implemented with authority and urgency. These include fixing the SOEs, as Finance Minister Tito Mboweni repeatedly pointed out in the budget speech; better regulation for the network industries (energy, telecommunications, water); sorting out public transport systems. And appointing strong, honest leaders to the criminal justice institutions. These all have been promised since the State of the Nation Address in February. A remaining question is: will the sufficiently effective execution of these commitments be enough to restore credibility, or does the president still have to seize complete control over the ANC, and win a national election before credibility is restored? The answer, unfortunately, is probably that an election must, reasonably convincingly, be won. Professor Alan Hirsch is director of the Nelson Mandela School of Public Governance at UCT.